June 27, 2013  Locals in eastern Tennessee have been making moonshine for centuries. But until a few years ago, it was pretty hard for most distillers to do so legally. 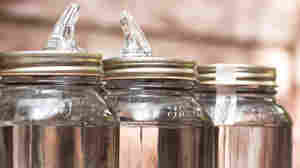 Now, entrepreneurs have turned their moonshine heritage into a way to boost the local economy and help farmers, too.